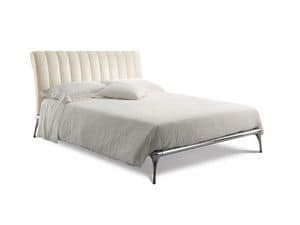 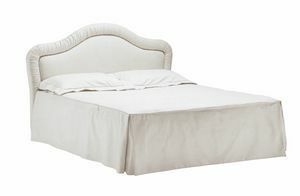 Bed particularly original, characterized by rounded lines and linear, at the same time. 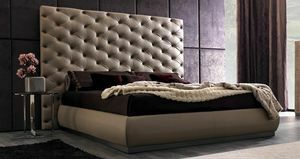 Wooden structure, polyurethane foam and acrylic fibers. 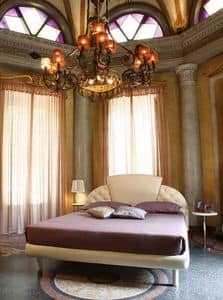 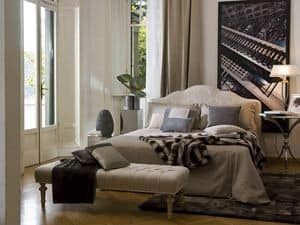 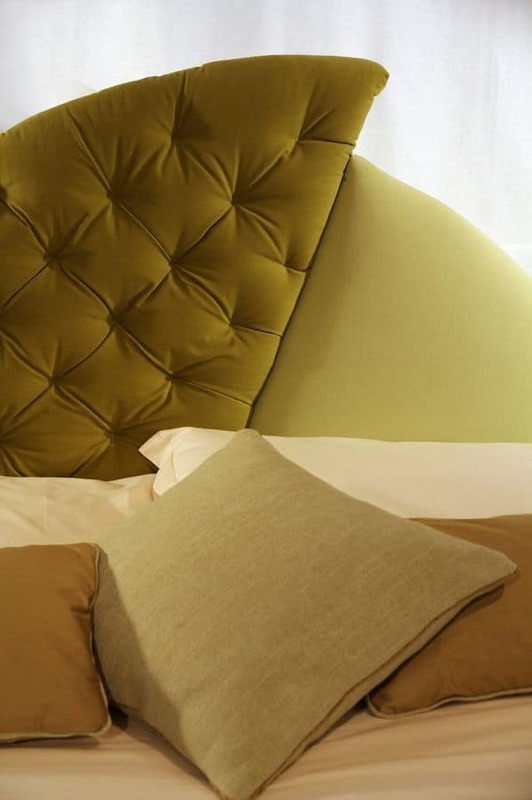 The protagonist is the headboard, where the imprint classical coexists nicely with modern details like the chrome lamp (accessory). 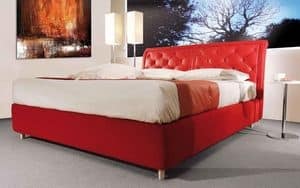 The two curved panels are contrasted: one with smooth coating and the other with a soft look by a working-stitched capitonn� effect. 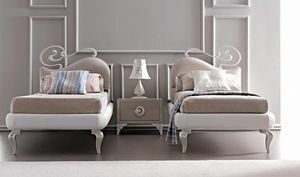 Orthopedic wooden slats in beech, bed frame with slightly rounded. 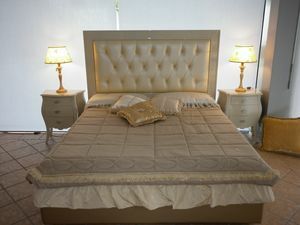 Removable cover only for the bed frame. 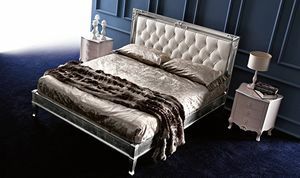 Wooden legs covered with the same color of the bed-gloss chrome base. 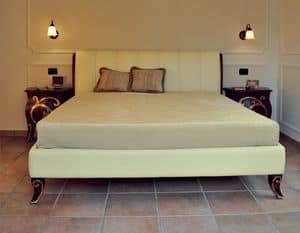 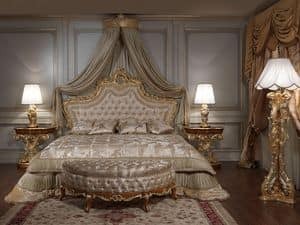 Classical bed with tall capitonn� headboard. 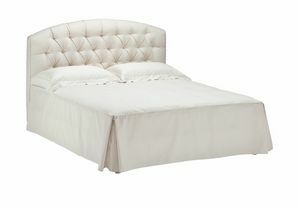 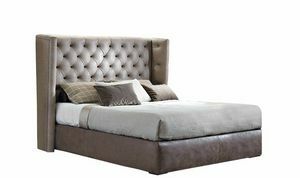 Intrigue bed with horizontal headboard "large"